Learning that someone is considering suicide can be frightening. Family members have described feelings of helplessness, sadness, and panicked behaviors after hearing their loved one's plan to end his or her life. 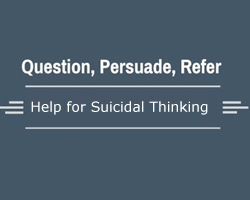 While no one solution is right in every situation, the Question - Persuade - Refer (QPR) process can be beneficial in order to assist with maintaining safety and finding support. Learn more about QPR by viewing our infographic. 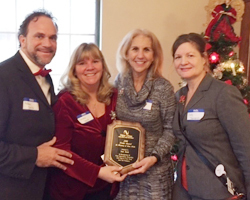 Currently serving as the Administrator, Recovery Centers, Kathleen Leonard has always had a strong desire to help people through the field of behavioral health. 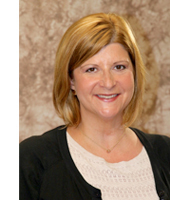 Over the course of her career, she has held a variety of positions, including case manager, therapist, college instructor, supervisor, and a director at different medical, educational, and behavioral health settings in Pennsylvania. She spent a number of years working at the Veterans Administration Medical Center supervising the social work department. 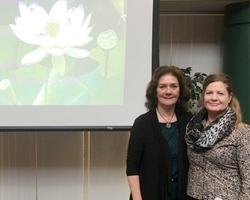 She brings the knowledge she learned at the VA and other organizations to New Vitae Wellness and Recovery and is able to assist veterans and other New Vitae Wellness and Recovery service users. Building and maintaining a solid support system can be vital to the success of any recovery program. Each support system must be as unique as the participant - personalization is key. 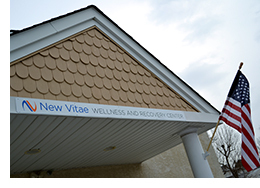 At New Vitae Wellness and Recovery, we work with every person to identify and build relationships, activities and social networks that can provide support, friendship, acceptance, and hope. 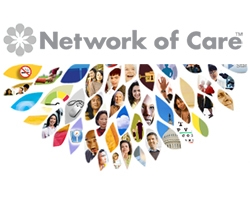 To find out more about how we work, visit our website.